If you have been a blogger for any length of time, you come to realize that writing several articles every week can turn into hard work. Usually the most frustrating part of the whole writing process is coming up with original topics that haven’t been beaten to death by every other blogger in your field of expertise. In this article I give you my tips on keeping your topic ideas flowing. 1.) Read and subscribe to related blogs that attract your potential customer. Even if you are writing about the same topic as everyone else, you can still put your own spin to it. Share your own findings and write an engaging story that includes your own images. Whenever you come across a blog that offers information you think your readers might enjoy as well, write an article about the site and what you like about them. Include a link that opens in a new window. 2.) Keep a notebook and pen with you at all times. You know those little black fold-over pocket notebooks that police officers and investigators use? They’re perfect to jot down article ideas and inspirations where ever you are. Keep a notebook in your car, pocket, purse and on your desk. It’s also a good idea to have a notebook on your bed stand as well. I frequently get the best article ideas right before I drift off to sleep. 3.) Pay attention to the latest headlines and news topics. Google News, Twitter Discover and Pulse are all great sources for gathering up to date information. 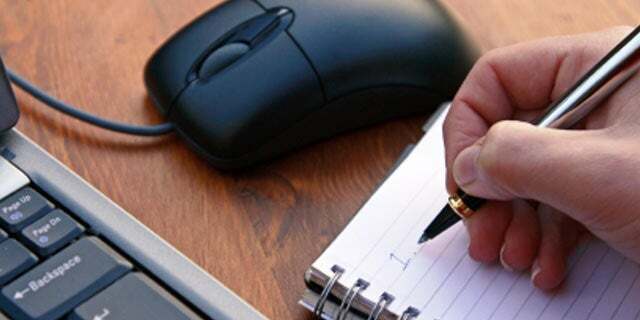 Write about how a particular news items might effect you, your business, or your customers. Share your own ideas and stories in your writing. 4.) Find interesting books to review. Which books would be of interest to you and your readers? Make a list of the ones you like best and write up a brief book review for each. Share your book reviews in a series of articles and ask your readers for their input on each. This can be an ongoing thing as new books get published every day. 5.) Create a reader poll or survey. Send a poll or survey to your readers, family members, friends, etc. using an online service like SurveyMonkey and get instant feedback and ideas for upcoming articles. Ask them what they are interested in learning more about or what their favorite technology toys are. You can gather your readers opinion on new products or services and turn the answers into engaging articles. 6.) Look at the comment section. If you write engaging blog articles then your readers will leave you their thoughts and questions. Take these comments and answers the questions in a more elaborate fashion then just a quick comment reply. This gives you an opportunity to voice your opinion and create a related conversation. You can do the same with every email question you receive. 7.) Expand on your best content. Take a look at your analytics history and figure out your most viewed articles. Do you have older posts that are still bringing in a steady stream of visitors? Refresh the content in the old post with a new and improved version. You could also break the original article apart and create several more fine tuned, up-to-date posts. The more you write, the easier it gets and the more ideas will come to you, but even the most talented writers will hit a road block every now and again. I hope my seven tips have inspired you to find new blog topic ideas. Now close down all of your extra programs, shut off your phone and start writing your next blog post.